I loved this scan too much to pass up. I did not get it from minitokyo.. I found it on an independent site. I just don't remember where. Chang Wufei from Gundam Wing. Yah! Everybody goes kung-fu fight! That's an awesome wall. I mean, that picture of him is perfect. Wufei is my favorite Gundam pilot, thank you for making such a beautiful wallpaper of him. 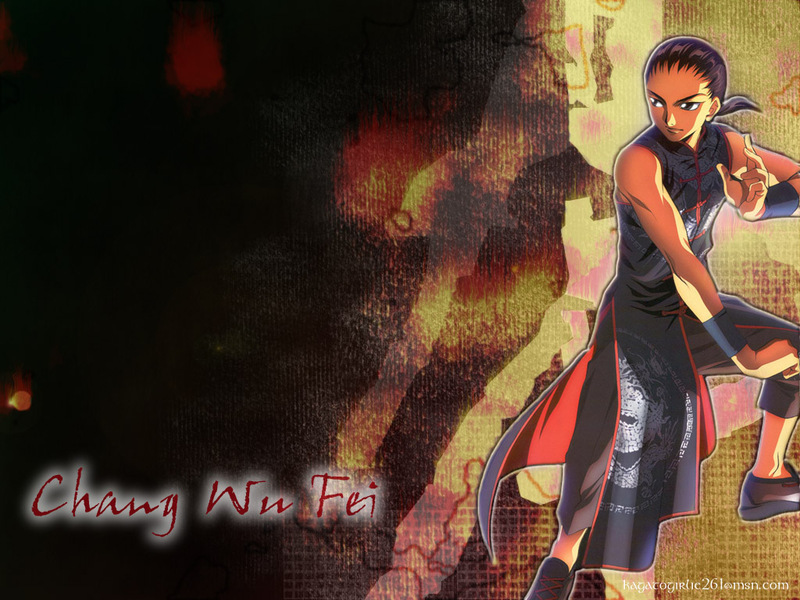 i love Wufei! ::I demand Justice:: !!! Quote by firnthoronwenWufei is my favorite Gundam pilot, thank you for making such a beautiful wallpaper of him. wufei in black Chinese clothing (don't like his plain white one)! Now this is a rare find! Oh man, Wufei is probably my least favorate pilot out of the five, but he looks so awesome here (not to mention smokin' hot!). He looks so good in this more festive, ornamental Chinese style, his plain white getup is too boring! You did a good job too, the background matches it perfectly!